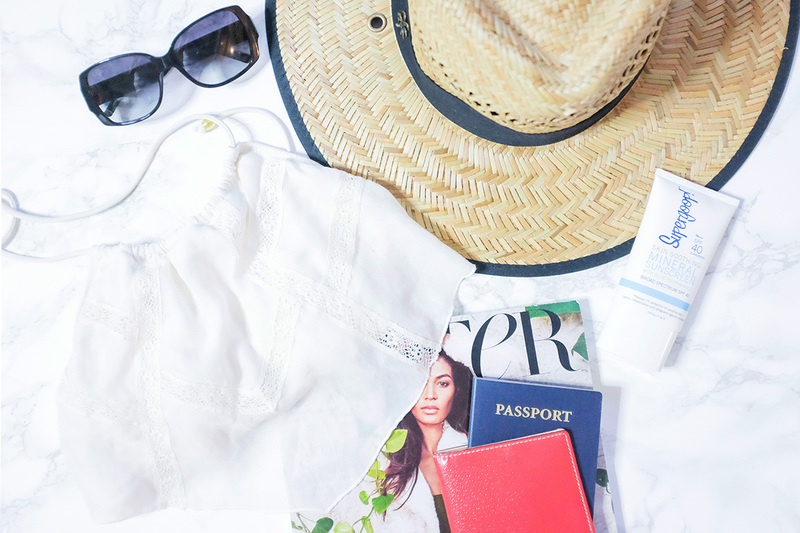 Essentials for a beach and sea getaway. When I think of the Bahamas, I think of the sunshine and the beach. With the exception of a few day/evening dresses, I mostly packed for a good time out on the sand and water. The islands of the Bahamas has been on my list for awhile, so I was so excited to get my toes into the beautiful beaches I’ve seen so many photos of on Pinterest. I’m ready for a frozen cocktail and a beach chair. I made a packing video when I was heading to the Dominican Republic, last summer, with similar items. …and some items I personally brought with me that still may be available online. Awesome video! Love your style btw. You live in an amazing place! Have a fantastic time and great list! Thank you! Unfortunately, I lost that hat on the trip! Love the outfits, and the sandals! I use the same makeup.